Home / Various / Stefano Domenicali, CEO of Lambo: "Lamborghini Must Be Humble". 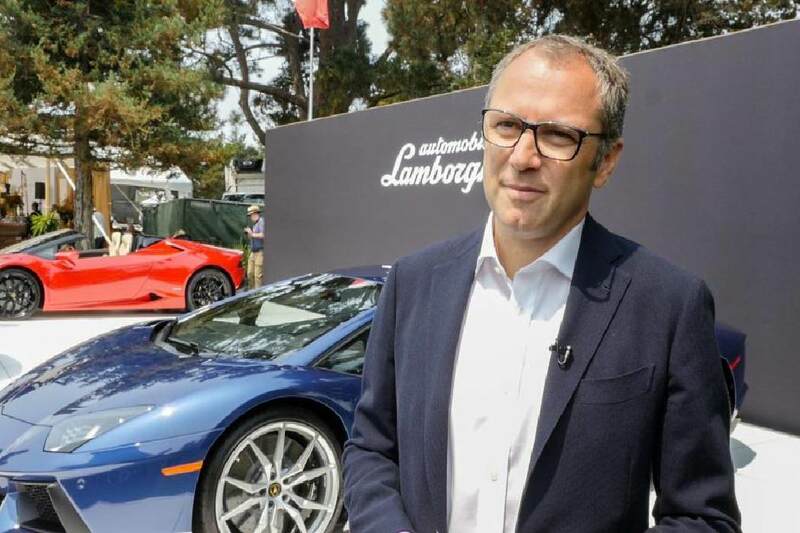 Former Ferrari F1 boss Stefano Domenicali is the new honcho at Lamborghini. Here’s what’s on his mind. By Tim Keen. What’s it like to be the chief at Automobili Lamborghini? SD: We are in a great moment in the company where the Aventador and the Huracan are doing very, very well. We are in a moment where sales have been achieved in a record time. But in that respect we want to keep the market under control. We will never, with the actual portfolio, go over 3500 units in a year. On the other hand, we have a big challenge. In two years’ time, the Urus will be in the market. We are getting ready for doubling the production capacity. Now, in Sant’ Agata, we are working day and night to ensure the premises are ready for the assembly of the new Lamborghini. So it’s a great moment. We are small but we are getting bigger, and it makes a difference if the team is strong. Also, if the shareholders we have are strong and solid and we are able to share the vision. That’s what matters. Your next vehicle in 2018 will be the Urus SUV. Can or should the brand go beyond that in terms of the lineup? An electric vehicle, a sedan, a grand tourer? We are a small company. We are growing. But we need to be humble, and we need to do the right steps with the right legs. Therefore, in the short term, it’s a really big challenge for us to prepare for the SUV. We need to prepare the dealership network, we need to prepare the service. So we need to do all that in the right way. As soon as we have ticked out this point, then why not? I think that there is a possibility to see Lamborghini with a full model portfolio. Not in the short term, but in the area of the GT, 2+2. We have heritage here. So if something should happen, that’s a reference in my view that we should take. But not in the short term. Step by step. Are you looking at things like active aerodynamics, maybe hybrids along with carbon-fibre technology? SD: I have to say that in the automotive industry, one thing is to be current with your DNA and this is what we are doing. Urus is one part of the cake, a different story. And the supersport segment is a different part, as we’ve said. So, to be very specific, the weight has to be priority number one, when we talk about our cars, supersport or SUV. But on the SUV, you want to put a lot of stuff, commodities that are normal to have in this kind of car, which is going against the requirement that you have to reduce the weight. On the other side, when it comes to supersport cars, it’s a must that weight is at the minimum. It’s a target for all our engineers, day and night. But once again, if you target the new technology, such as new technology with electrification which means more weight. So in the short term.